For Physical Builds using Beronath physical conversion, Blademaster, Commando, Warder are examples of Physical Builds with Soldier mastery. 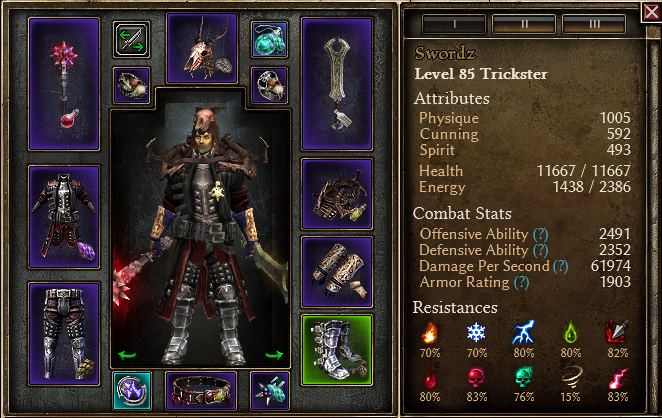 This is an example of Non Soldier Physical Build using Cool New Beronath, Reforged. Conjurer, Pyromancer, Saboteur, Elementalist, Sorcerer, Druid, Spellbreaker, or even a Witch Hunter also another candidates if we want make non soldier physical builds. One of the advantage of using Nightblade for DW Melee is we have more options for Relic and Medal. 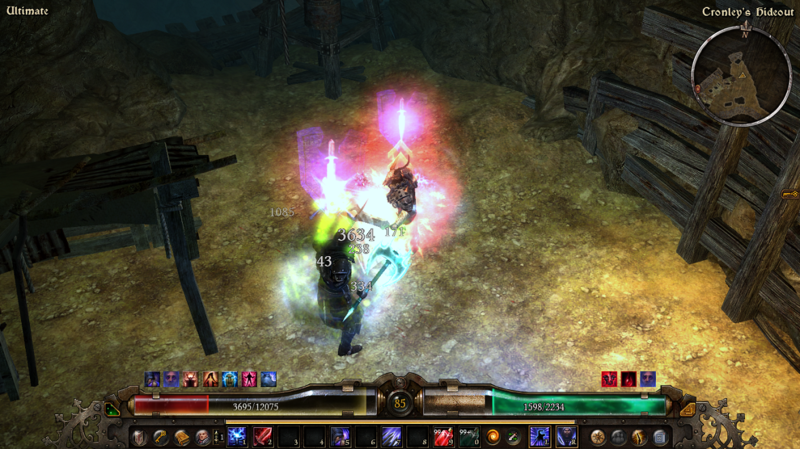 - If we want to cap the elemental resistances, just change BoM (mine +3 to Savagery) with Mark of Divinity. We'll get more Health, Elemental Resistance, Divine Light, but lower OA. - Blade Breaker Sash has %OA but it has no Physical Damage booster. Last edited by TZ Tz; 07-16-2017 at 12:02 AM. This seems to work a bit better than the BM. A few suggestions. 1. Lose Haunted Steel. It's 10% total dmg penalty, uneeded since beronath gives another 10% penalty with pierce conversion. You can use restless remains but lifegiver is enough for vanilla. 4.Replace blegothian ring with black matriarch for RR proc, it's important. Last edited by Superfluff; 07-09-2017 at 06:40 AM. I suggest to max Lethal assault and anatomy of murder. http://grimcalc.com/build/1009-NADqpk something like this should give you at least some dmg. For devotions Manticore is mandatory , you realy need that 25 flat RR. 1. Lose Haunted Steel. It's 10% total dmg penalty, uneeded since beronath gives another 10% penalty with pierce conversion. Just to add details on this: Beronath gives a 10% penalty to the "original" physical damage, but physical damage coming from converted elemental damage isn't affected. I can't use Grasp of Unchained Might, it's good gloves, but I need to cap poison resist using the current gloves. The Lightning Bolt procs from Light's Defender Gauntlets will be converted to physical though. Makes sense. Still a penalty though. Current setup had been updated using Lethal Assault. Yeah, Cadence > Savagery for physical. 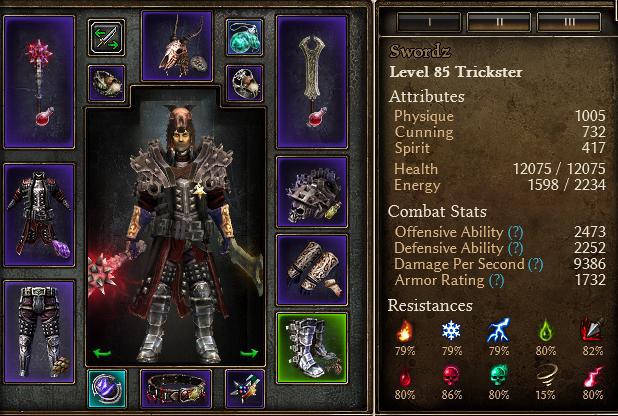 My Trickster has maximum Savagery with 9 Charge levels. Blademaster has Break Morale from Soldier, not to mention WB, it also has CoF. Trickster needs Acid Spray and has lower OA.